Henry Gimenez is a strategic communicator who is experienced in litigation and collegiate sports law. Henry represents a wide variety of clients in the areas of litigation and collegiate sports law, from Fortune 500 manufacturers and service providers to NCAA national championship contenders and Heisman Trophy winners. He has represented these clients in an equally wide variety of settings, including state and federal court trials across the Southeast and hearings before the NCAA’s Committee on Infractions and Infractions Appeals Committee. Henry’s traditional litigation practice focuses on product liability and commercial cases. In his collegiate sports practice, Henry handles traditional NCAA compliance issues and investigations while also helping colleges and universities with investigations relating to Title IX and student welfare issues, athletics-related employment disputes, negotiating and drafting coaching contracts, and more. For Henry, success in any arena is rooted in effective communication. Favorable results are largely dependent on an attorney’s ability to develop and communicate a compelling, understandable and credible story that will persuade the audience, whether that’s a judge, jury or panel of academia members. As a first-generation Cuban-American, Henry is committed to promoting diversity in the courtroom and ensuring equal access to civil justice for all minorities. He is a member of the Hispanic National Bar Association and served multiple terms as the president of Region VII covering Alabama, Georgia and Mississippi. 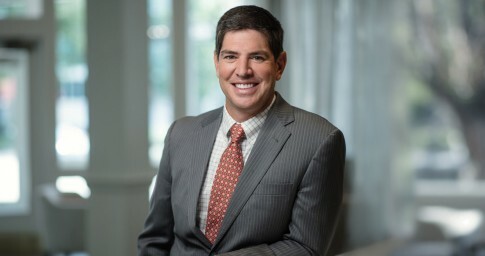 He recently completed a multiyear term on the Board of Directors for the Alabama Defense Lawyers Association (ADLA) and served on the organization’s first-ever Diversity Task Force. He was also selected as a founding member of an Alabama State Bar committee to address providing legal services to the Hispanic community. As a proud husband and father to two sons and a daughter, Henry strives to emphasize communication at home as much as he does at work. However, he recognizes that as far as his kids are concerned, there is no verbal equivalent to a fistful of Starbursts. Securing a $3.63 million verdict from a Mobile County, Alabama, jury in favor of his client, Honeywell International. The case involved a claim that Honeywell was due damages under a written agreement with a contractor requiring the contractor to indemnify Honeywell for liabilities Honeywell incurred as a result of a wrongful death claim filed by the family of the contractor’s employee. After a seven-day trial, the jury agreed, and awarded Honeywell the full amount of its claimed damages. Honeywell was also represented at trial by Lightfoot attorney M. Christian King. Investigating allegations relating to student-athlete mistreatment and NCAA violations committed by a head coach at a Power-5 institution, and defending a resulting wrongful termination lawsuit filed by the former head coach in federal court. Representing an SEC institution before the Committee on Infractions and Infractions Appeals Committee in one of the largest infractions cases in history, resulting in the vacation of significant penalties. Representing football head coaches in the Big 12 and SEC through the NCAA investigative process, including contesting allegations relating to Head Coach Responsibility. Conducting an internal investigation into a Division I men’s basketball program coming out of the federal corruption scandal. Consulting with university presidents, general counsels, and athletics directors on best practices in today’s NCAA compliance environment, particularly coming out of the Rice Commission Report. Advising football head coaches in Power 5 conferences as to appropriate departmental practices and procedures.